It’s big, it’s bold, it’s fast, but most importantly, it’s Australian. 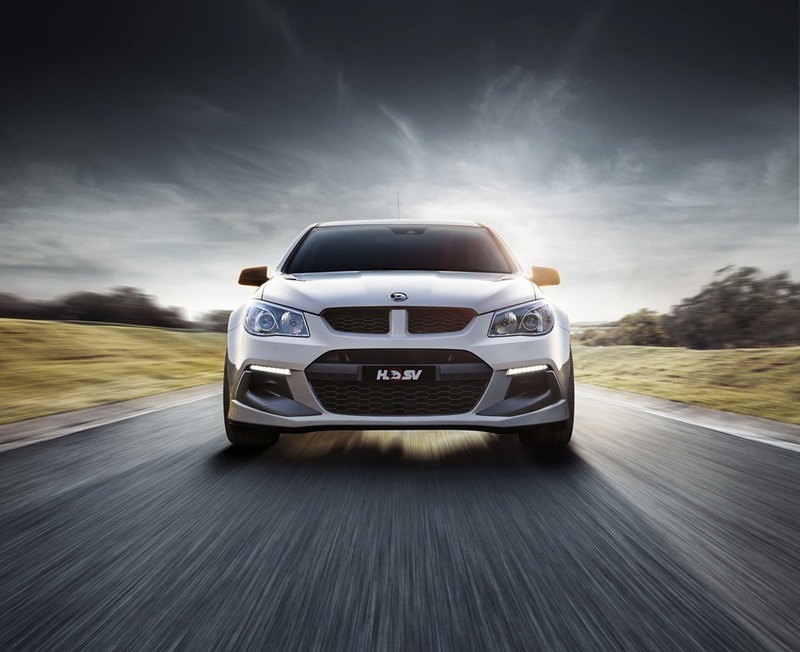 The HSV R8 Clubsport is the last in a long line of V8 Australian made muscle cars. 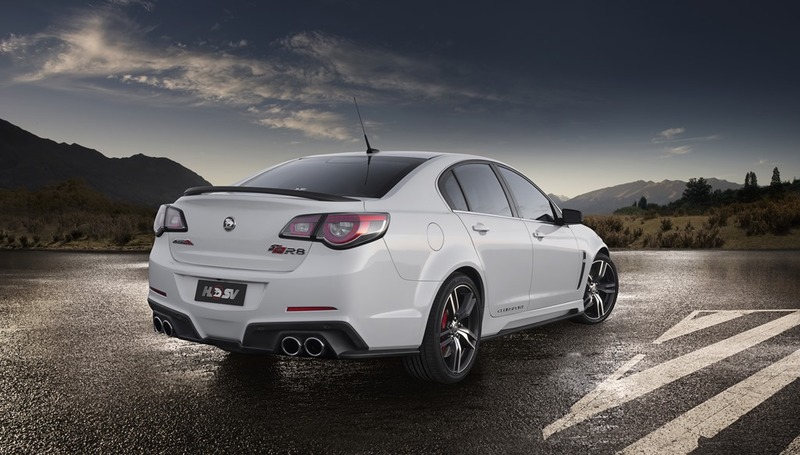 It’s a final hurrah for the go-quick Commodore and so it is with a slightly sad heart that we report on the latest HSV offering. 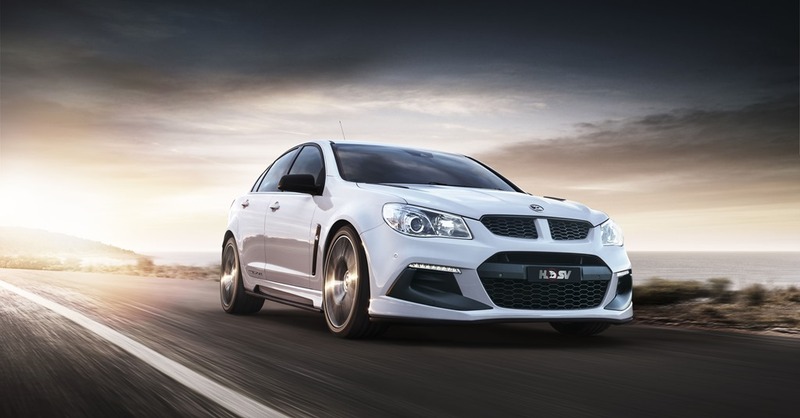 Apart from some minor cosmetic changes, the big news in HSV is the arrival of GM’s supercharged 6.2L LSA V8. The gloom dissipates the second you lay eyes on the handsome metalwork. It has lost none of the urgency and glamour of the Gen F. I’ve always thought the headlights were slightly disappointing. They don’t quite feel as cutting edge as the rest of the car. As part of the overall design scheme it works OK, I guess, but for me it never looked quite right. The LSA V8 is a huge step up in power and torque over the previous model. There is a mountainous 400kw (up from 340kw), and an even more insane 430kw for the GTS at around 95 grand. It seems like only yesterday that Holden special vehicles boasted around 200kw and we thought that to be almost stratospheric. 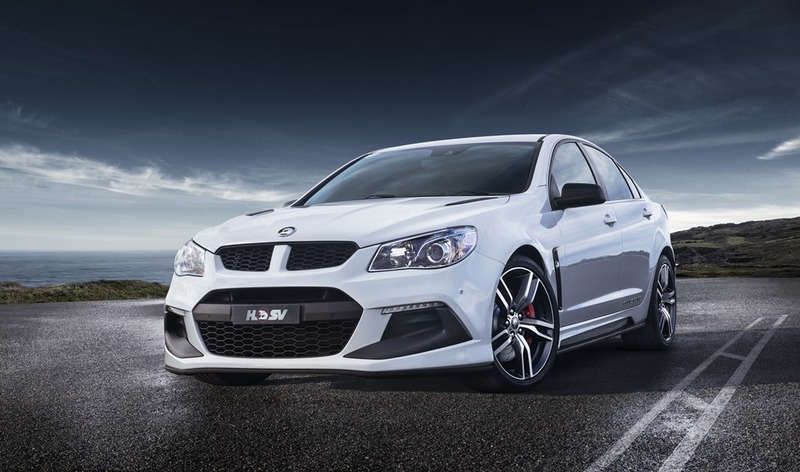 Even the base model SSV Commodore now has 304kw. One wonders how GM only managed 260kw out of the only 6.0L power plant in the auto model. 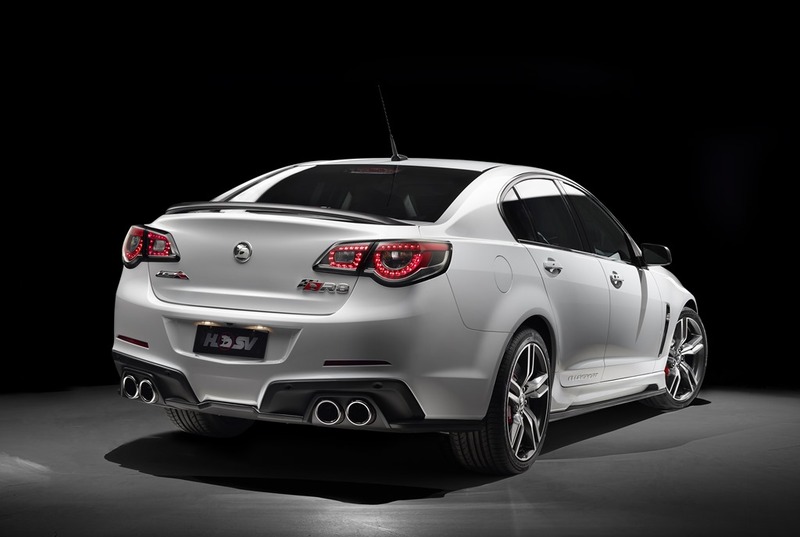 While the R8 is based on Commodore, HSV bases the Grange on Holden’s Caprice. HSV sell a mere 50 Granges a year and the business case for shoehorning the LSA into it didn’t add up. It means the hot limo keeps the 340kw unit. While it’s no slug, I can’t think who would buy it after laying eyes on the R8 or GTS. I wonder if maybe the big daddy has had its day as it feels as though HSV more or less gave up on it. 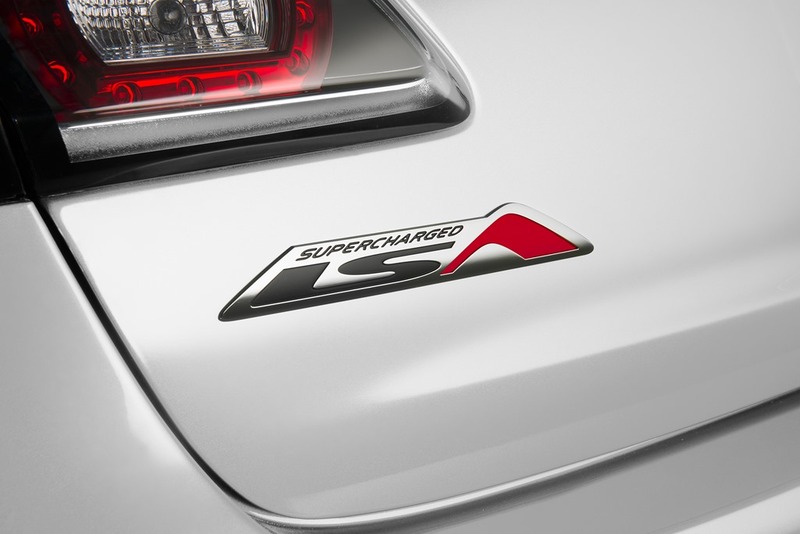 The LSA V8 has 400kw/671Nm and brings with it the LSA rear module which includes rear suspension changes. To get the most out of our time with the R8, we did a bit of highway work, the usual mountain passes, and the ubiquitous city work. We even managed a school run to the whoops and cooees of savvy 9 year olds whose dads drive Audis and Mercs. Before you ask, no we didn’t do a track circuit. Although it would have made for a fabulous day, we know most buyers will never go near a track. About 60% of HSVs sold are automatic so, ‘nuff said. Most of the week was done in Sport Mode which puts the Magnetic Ride Control (if fitted) and Electric Power Steering into sport mode, and opens the bi-modal exhaust so you hear a bit more rumble at idle. OK, it was entirely to enjoy the visceral rumble at the traffic lights. It’s enough to set off the more sensitive alarms of nearby Japanese sardine tins. 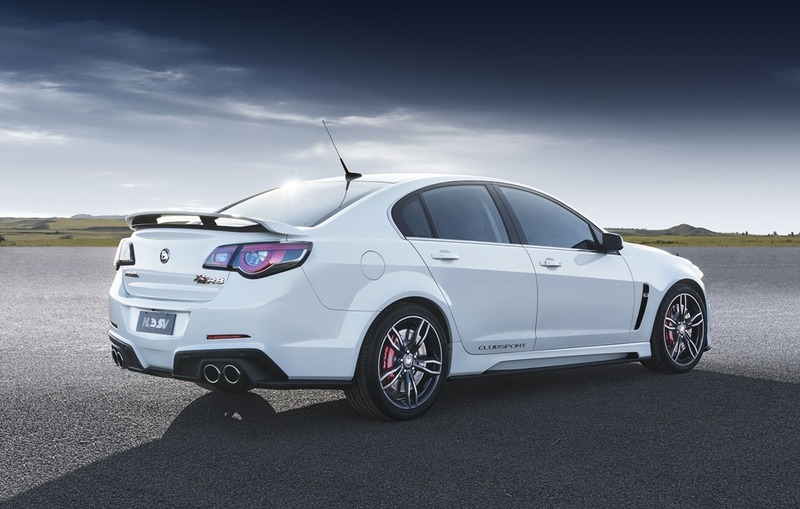 The GEN F-2 is definitely the last HSV Commodore, but HSV won’t be drawn on future models. 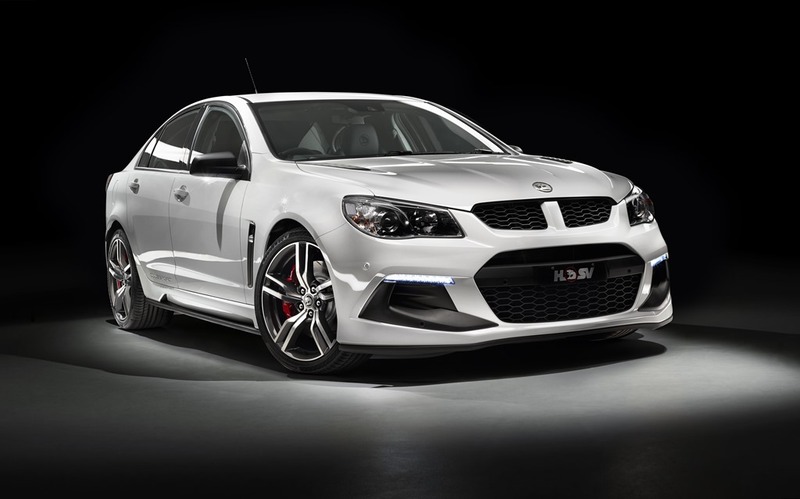 Will there be an HSV after Commodore/Caprice cease to be? There may be a clue. The wonderful LSA can also be heard rumbling through the back streets of L.A. in the Chevy Camaro ZL1 and Cadillac’s stunning CTS-V sedan. It begs the question: might we see either of those cars landing on OZ shores sometime? The industry has been awash with gossip since Holden revealed the cessation of manufacture shortly after the Abbott government came to power. I asked HSV’s marketing and planning General Manager, Damon Paull, whether HSV might do some hot versions of GM’s Euro or American cars for our market, but he wouldn’t be drawn on the matter. I guess we just have to wait and see. If we hear any gossip, we’ll be sure to let you know. To look at, you’ll notice a few trim modifications, but apart from the LSA badge, most would have trouble picking the difference between Gen F and Gen F-2. Inside is the same story. Luckily the cabin was already a glorious place to be, so it was not a disappointment. 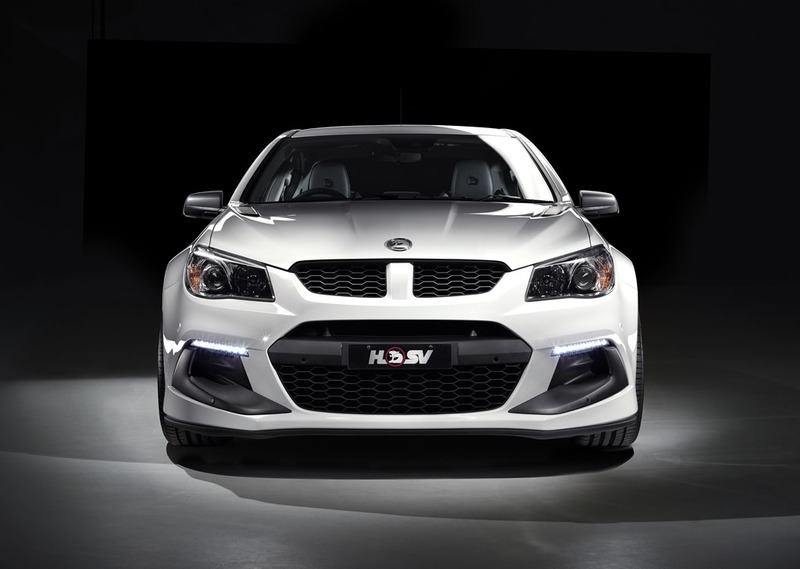 In the 15 years since HSV was created, many models have passed through their portals but the Gen F-2 is the best yet. The 0-100 time of 4.6 seconds is quite brisk, but for a car of this price, is utterly amazing. We recently spent a few days in BMW’s $322,000 i8 whose 0-100 time is 4.4 seconds. So, to go 0.2 seconds quicker you’ll need an extra $250,000, yes really. Even Nissan’s Porsche-beating GT-R costs an eye watering $172,000. If there is a downside, it is the fuel consumption which can be ferocious if you decide to use the accelerator. While no one buying a 6.2L performance saloon is going to expect diesel economy, we got a hefty 20L/100k by being fairly gentle with the acceleration. We managed around 10L/100k on the highway and did about 300k all up. I can’t imagine what a track day would do to that figure. 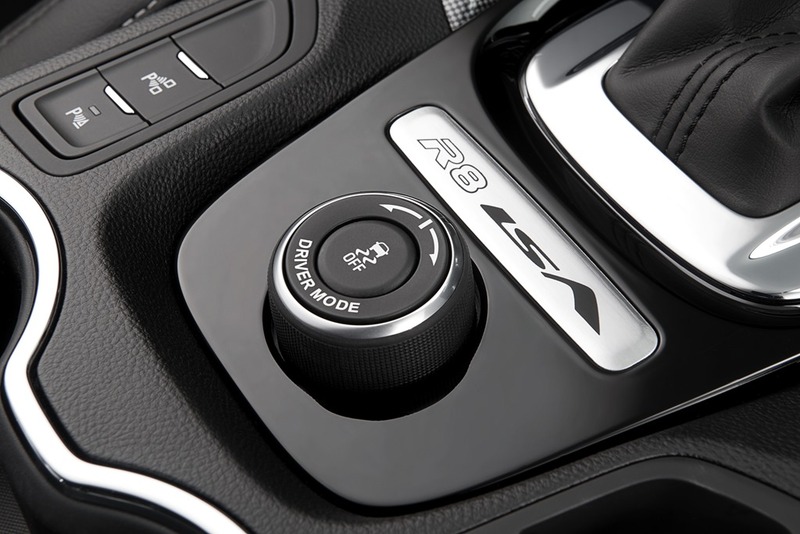 The driving modes have 3 positions with a 4th being added for the range topping GTS. Normal mode is the most comfortable way to drive around. 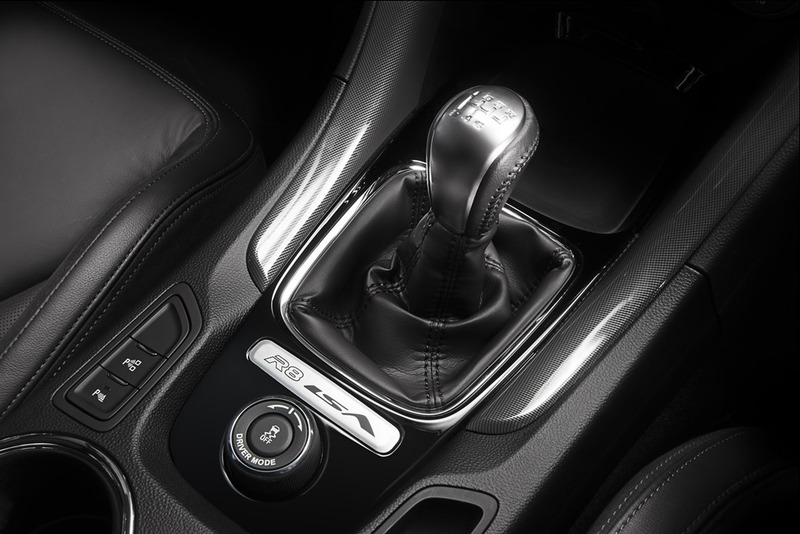 Sport mode changes the steering and ride, performance mode puts stability and traction control in to competition mode and turns on the torque vectoring. 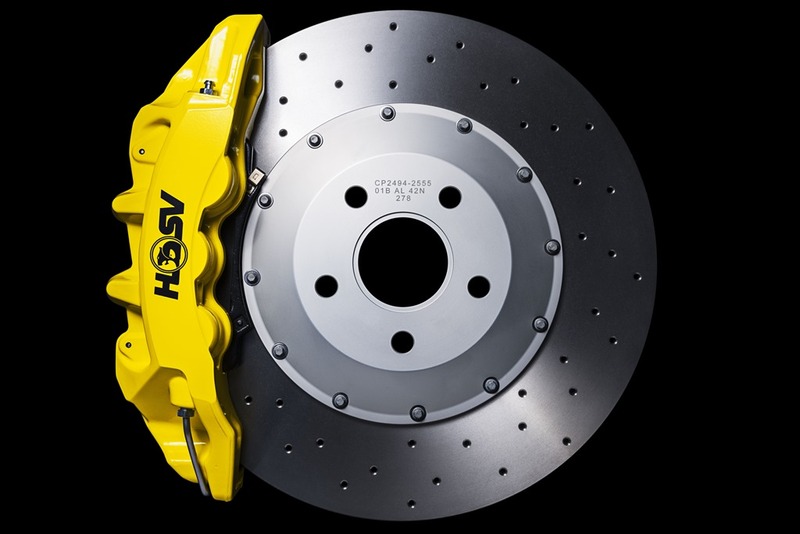 The car then senses understeer and brakes the outside rear wheel while adding power to the opposite wheel. The GTS adds a track mode which stiffens the suspension to tackle track work. In the hands of a V8 supercar driver, the R8 would be a weapon. We however, opted for a gentler ride, which is how we think most buyers will use their R8. We liked the extra weight in the steering offered by Sport Mode, and the louder exhaust at idle was just a pleasant extra, well actuall,y we did it for the exhaust and happened to like the steering. The 6 speed auto is what 60% of people will opt for and although it is supremely smooth, feels like it cuts a substantial amount of fun from your daily commute. The HSV manual is easy to use and for me is the only choice for such a brilliant engine, albeit a pushrod one. Note to self: sample a GTS. The country roads presented opportunities to enjoy the refined nature of the handling as well as the spirited American engine. Like Australia, America is big, very big. There, like here, a road trip is a basic human right so a large GT saloon with a big powerful engine is practically custom made for it. Because there are places where the distances between towns can be measured in hundreds of kilometres, you must be comfortable, and the R8 was extremely comfortable. You can feel like you’re in a comfy lounge room if that’s the mood you’re in. Then, by twiddling a knob, be transported in an instant into the middle of a raging storm with a soundtrack straight from Valhalla. The response in corners is helped by the quick steering and vast reserves of torque. Even in the tightest turns the body roll is so minimal that the tyres rarely complain. One wonders how far you’d need to push to make them scream without being on a track in race mode. No, we didn’t try. On the highway the auto will have the V8 spinning at a lazy 1500rpm but the fuel is still being sucked down at an Olympic rate. The thing is, you just don’t care because the ride is sublime and the handling brilliant. Even on our base R8 there are driver aids like: blind spot warning, lane departure warning, heads up display, automated parking, forward collision alert, Satnav, smart entry/start with remote start/stop, reversing camera with cross traffic alert, hill hold and rain sensing wipers. Most driver aids worked brilliantly but the remote start/stop was tricky. We got it to work several times but the buttons on the key fob seemed a little moody at times. Similarly, the rain sensing wipers had trouble with light rain and we never found a setting that seemed completely happy. Unusually for a Commodore the auto climate control didn’t seem to cope. I found myself using it on manual by turning the temperature right down and using the fan control to vary the air flow. I like a very cold cabin so perhaps it was just me. The HSV Gen F-2 R8 is a mouthful to say but very easy to drive. It’s youthful and mature at the same time. If all you want is the glamour, R8 has that in spades but if you want dash for your cash the R8 has 4 aces. It is smooth and elegant, or mad and exciting, but it’s the driver who decides. It’s hard to think of a muscle-match for the money, and none will beat the R8 as a daily driver. There is no compromise to be made. The cabin is easy to enter and exit and a very comfortable place to be in-between. There is plenty of room inside and killer looks outside. These are matched to an engine with an irresistible note, so I just can’t think of a car I’d rather drive for the price. You’ll remember we drove Ford’s XR8 which also has a supercharged V8. It too is gorgeous outside. But, and the buts are huge, I could not get comfortable. The driver’s seat was too high and the cabin positively archaic. The plastic was cheap and the design old fashioned, but the drive was brilliant. With the R8, the feel was like that of a comfortable shoe with no compromise needed. The seats were supportive and firm yet comfortable and relaxing. The cabin has a top quality feel loaded with the familiar gadgets we can’t do without. It isn’t cutting edge by any means but it is huge fun. The resulting vehicle is one you’d need a reason not to buy unless you’re wealthy enough to afford a GT-R or a Porsche. Sure there were a few little niggles but none were deal breakers. Surely an auto dimming rearview mirror isn’t too much to ask? Would I buy one? Absolutely, however I’d try and gather together a few extra shekels for the GTS.